Your home is your single biggest investment! Treat your lawn right. Curb appeal starts at the curb and works its way up a professionally landscaped lawn and garden. Realtors constantly talk about curb appeal and your lawn is one way to properly ensure and protect the value of your property. Your lawn truly is the corridor to your home, and in a most recent poll of licensed Realtors, a well manicured lawn is the second most important factor to selling a house. It is behind only cleanliness, and followed distantly by hardwood flooring. Are you tired of making the call to a neighborhood kid who can’t remember to show up on time? Don’t have time to handle your lawn needs yourself? Trust the reliable professionals at Hemlock Lawn Maintenance with your lawn service needs! 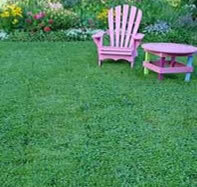 Trust a professional who has the right lawn service price for your budget. Professional lawn maintenance doesn’t have to be expensive. 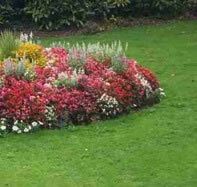 At Hemlock Lawn Maintenance we are worthy of your trust. Don't place your single biggest investment in the hands of just anyone. 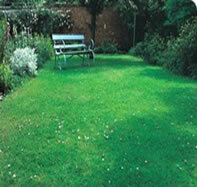 Trust in the dependable lawn service of Hemlock Lawn Maintenance.